SQL Server 2012 is due to be released on April 1 2012. One of the big components of the new version is SQL Server AlwaysOn. This technology provides a new granular approach to meeting your High Availability and Disaster Recovery Requirements in this ever increasingly complex world of data. This is the third of a 3 part blog series that I take you through SQL Server 2012 AlwaysOn. SQL Server 2012 is due to be released on April 1 2012. One of the big components of the new version is SQL Server AlwaysOn. This technology provides a new granular approach to meeting your High Availability and Disaster Recovery requirements in this ever increasingly complex world of data. This is the second of a 3 part blog series that I take you through SQL Server 2012 AlwaysOn. SQL Server 2012 is due to be released on April 1 2012. One of the big components of the new version is SQL Server AlwaysOn. This technology provides a new granular approach to meeting your High Availability and Disaster Recovery Requirements in this ever increasingly complex world of data. This is the first of a 3 part blog series that I take you through SQL Server 2012 AlwaysOn. 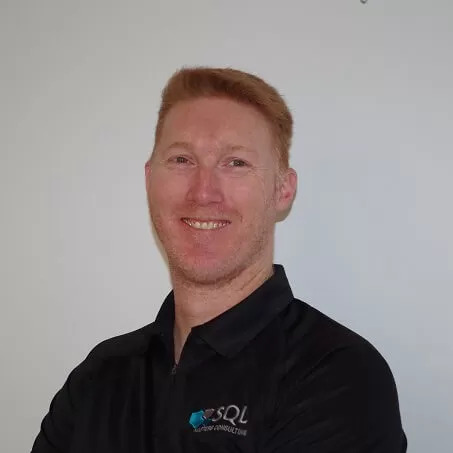 The schedule for SQLSaturday #135 in Brisbane has been released. To help you arrange your day to see the sessions you are most interested in. With the release of SQL Server 2012 there has been a slight change in the edition available. The removal of the Datacenter edition, but the inclusion of the Business Intelligence Edition. To find out more about these changes compare the available editions. With the imminent release of SQL Server 2012, you may be looking at some new implementations or Upgrades and are looking to find out what features are supported in the various editions of SQL Server 2012. Microsoft at the SQL Server 2012 Virtual Launch has announced that SQL Server 2012 will have general availability as of April 1 2012. Read more of the press release from this blog. SQL Server 2012 official Virtual Launch is set for March 7. You can register for this event now. At this event it is likely that a release date for the product will be announced. Who know’s. Will have to be there to find out. Upgrading SQL Server versions to SQL Server 2008 R2 can be achieved in a couple of different ways. In-place Upgrade, Side by Side Installations or New Installations on new hardware. In this blog I am taking you through an in-place upgrade to SQL Server 2008 R2.